"To proclaim the gospel message of Jesus through Word, Sacraments and Works: to form our community in the traditions and teachings of our Catholic faith, to care for one another and the community at large and to bring others to know Jesus by our witness and example." The founding and initial growth of our Parish coincides with the exodus of Catholics from Ireland during the 1840s and 1850¹s. The first Irish Catholic in Fort Smith was Michael Manning, who came here to work on the construction of the fort in 1840. He arrived from New Orleans. The first known Mass to be celebrated in Fort Smith took place in his home. As others arrived in Fort Smith, Manning donated the land for the first church and caught the attention of the Bishop of Little Rock, the Reverend Andrew Byrne. Soon they completed the little log church of Saint Patrick at the corner of what is now 3rd and North "D" Streets. Total cost for the structure was $258.50. The Catholic burial ground was immediately north of the Church. Fr. John Corry was the first pastor of the Parish. Fr. Peter W. Walsh succeeded him in 1847. Fr. John O¹Reilly and Fr. Philip Shanahan followed. Fr. Lawrence Smyth was pastor from 1861 until 1908. Assisted by his brother, Michael, Fr. Lawrence oversaw dramatic growth in the Parish. 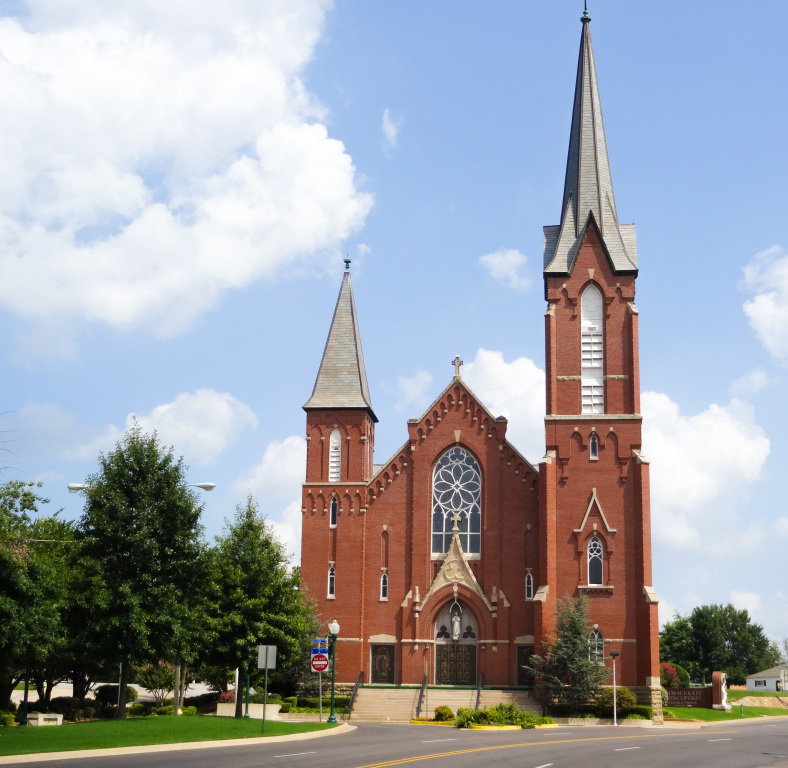 Swelled by the waves of immigrants fleeing the Irish famines of the 1840's, the Catholic Community in Fort Smith continued to grow. During his pastorate, the Parish acquired nearly a square mile of property on the site of old Fort Belknap. It was bounded by Dodson, Greenwood, Grand and Towson Avenue. There was room for a school, convent, church, cemetery and a hospital. The Sisters of Mercy had a close relationship with the Parish. They arrived in 1853 and, through the years, started schools, tended to the wounded of the Civil War, built hospitals and attended to the spiritual needs of the community. St. Anne's Academy and St. Edward Mercy Medical Center were testimony to their spirit and courage. 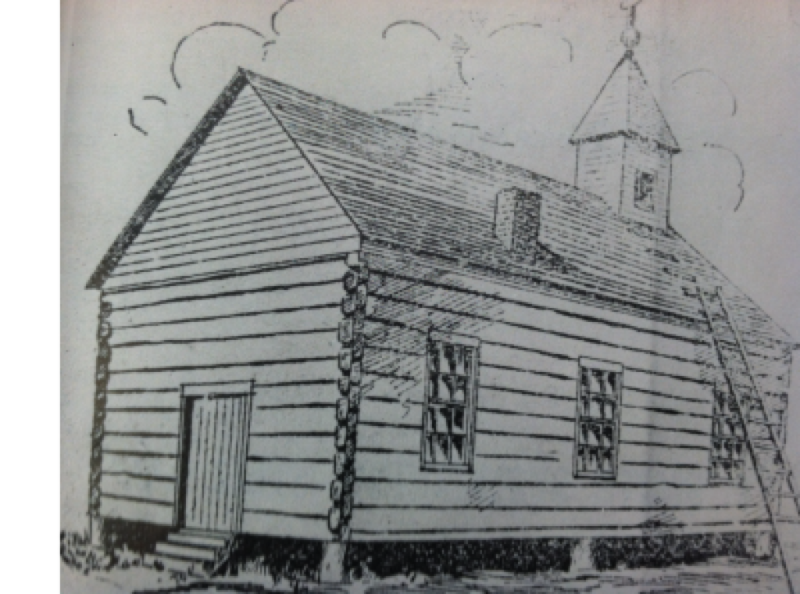 When the little log church was no longer usable, the Parish moved into the old officers' quarters until a new church building could be erected in 1867. This building served the needs of the Parish until 1898 when it was demolished by a cyclone. Sometime during the period after the Civil War and the turn of the Century, the Parish was renamed "Immaculate Conception" but nobody knows exactly when. The new church, which is still in use today, was completed in less than 18 months and was dedicated on June 1, 1899. Adolphus Druiding of Chicago was the principal architect. Rudolph Metzger, an Immaculate Conception parishioner was the general contractor and furnished the woodwork. Thomas Long was the contractor for the brickwork. The stained glass was produced by the F.X. Zettler Royal Bavarian Art Institute of Munich, Germany. The Parish extensively refurbished the church in 1965 when a parishioner noticed serious structural deterioration. Today, Immaculate Conception Parish is much more than a heritage of brave clergy on the frontier and a collection of impressive structures and grounds. It is a faith community of diverse ethnic cultures, combined to minister to the physical and spiritual needs of the community and each other. In 2013, in an effort to address the needs of our growing community and to make the updates and renovations needed in our campus, the parish initiated an intensive fundraising effort titled the Restoring to Glory Capital Campaign. The campaign effort included had an extensive list of repairs and renovation including the complete remodeling of the Youth Center and St. Anne's Building, multiple renovations in the Church including the front steps, the plexiglass over the stained glass windows, and the west ramp. Repairs and renovations at the School, Preschool, and Gym facilities were also included in the campaign effort. Immaculate Conception Church is a vibrant community that dates back to the 1840’s. For over 150 years, our church has been ministering to the needs of our community. And while facilities and faces have changed over the years, one thing remains the same…our commitment to Christ, to one another, and to the betterment of our community. Our church today is an active community comprised of over 1800 households. Led by a dedicated pastor and strong corps of lay leaders and volunteers, there is an increasing number of ways that people of all ages can participate in the spiritual, educational, social and service ministries of our church.